UK: Aja Huang 5d took the MSO Open on August 25 in London. Francisco Divers 2d placed second and Andrew Simons 4d third. 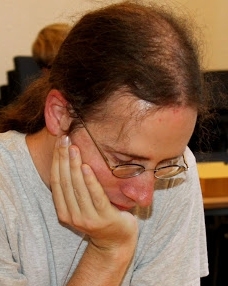 Sweden: John Karlsson 4d bested Mingyu Chen 5d at the Stockholm Open on August 23 while Charlie Aakerblom 4d was third. Netherlands: The Zomergo 2014 finished in Lunteren on August 20 with Matthias Terwey 4d (left) in first, Rene Aaij 4d in second, and Zeno van Ditzhuijzen 5d in third.